The Barn, originally built in the late 1800’s and located in Northern Michigan, has been lovingly restored by the Garvey family. The barn is 40 feet by 60 feet and can accommodate up to 150 people. Our new 36 x 40 foot cedar deck can accommodate an additional 80 people and can be tented. Of course, we have plenty of additional space for tent set up. The pastoral setting nestled in a small valley makes this venue the perfect choice for your special occasion. We specialize in Barn Weddings, but can also accommodate your special event or private party as well. Please see our info & pricing page for fees and rental details and let us know if you have additional questions. We had our wedding here in August and it was beyond amazing. 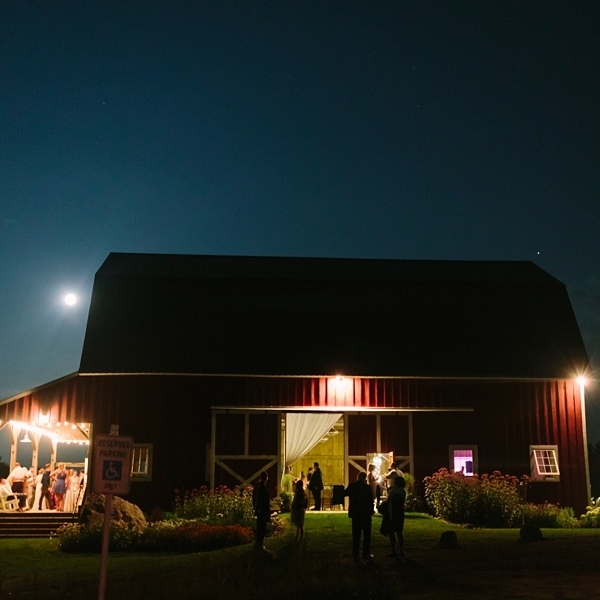 The barn was a perfect venue and Bob was fantastic to work with through the entire process!!! Beautiful venue!! It was just the right size for the wedding we attended. Beautiful place wonderful venue for a wedding !! Or a big celebration.